Most survey research is conducted online among panels of people who are compensated for participating in regular and frequent surveys. This methodology has become popular, because it is usually less expensive and less time consuming than personal, telephone, and mail surveys. AARC believes online panel research is particularly inappropriate for surveys of the affluent and that such research can lead to inaccurate and misleading results, just like anecdotal research. AARC’s methodology avoids the several potential weaknesses of online panel research – see Sample Quality of Online Panels: Putting Lipstick on the Piggy Bank, the new report More Dirty Little Secrets of Panel Research, and the original Dirty Little Secrets of Online Panels by Grey Matter Research. AARC has conducted its research by direct mail surveys sent to samples drawn at random to be representative of the precisely defined population of affluent households, consistent with the research of The Federal Reserve Board. Confident of their anonymity, the respondents to AARC’s surveys have typically been more affluent and more open in providing confidential information. 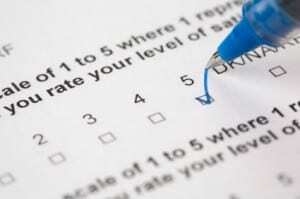 Similar to the Consumer Confidence Index of The Conference Board, AARC’s studies have been based on self-administered questionnaires mailed to a national sample of at least 3,500 households that, based on their income and ownership of certain assets, were expected to have the minimum net worth of the wealthiest 10% of U.S. households. The overall survey response rate (net of undeliverables) has been about 11% for the latest surveys.